This is the third of a three-part series of articles on women in The United Methodist Church in celebration of Women’s History Month during March. Thirty years after the United Methodist General Conference launched a study on language about God and Scripture, clergy and laity continue to struggle with issues surrounding masculine, feminine and gender-neutral images of God. For some, changing “mankind” to “humankind” is a seamless effort. 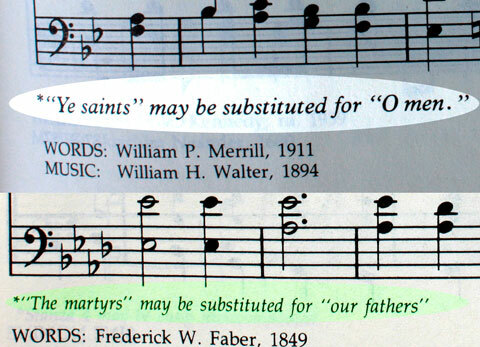 Others say traditional masculine language in hymns and worship best meets their spiritual needs. Take the word “father,” for example. While it stirs positive images for persons who grew up with a loving male parent, it can elicit a different reaction from someone who did not. The 1980s church task force said its goal was to witness to the wholeness of God. Part of the move toward inclusive language involves education. The church study culminated in the booklet “Words That Hurt and Words That Heal” to assist The United Methodist Church in becoming more inclusive in its language and practice. 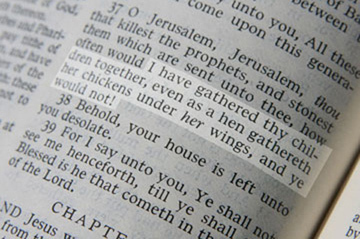 While many lay and clergy embrace newer versions of Scripture such as Eugene Peterson’s The Message, others use the King James Version, which also includes feminine images of God. “Inclusive language was certainly more of an issue for those of us who came out of the feminist movement of the ‘70s,” acknowledged Maxine Clarke Beach, Drew University Divinity School. King James Version, offer feminine images of God. There is still a long way to go to offer diverse images of God, said retired Bishop Beverly Shamana. *Dunlap-Berg is internal content editor for United Methodist Communications. Honor Heights UMC, Muskogee, Okla.